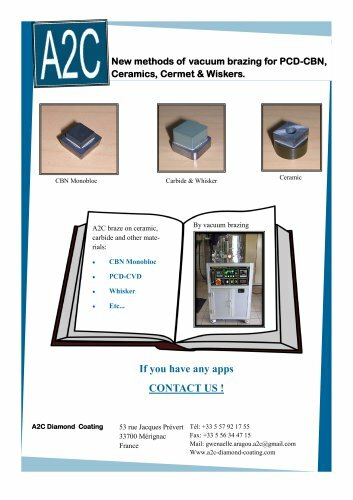 New methods of vacuum brazing for PCD-CBN, Ceramics, Cermet & Wiskers. Carbide & Whisker A2C braze on ceramic, carbide and other materials: CBN Monobloc PCD-CVD Whisker Etc... If you have any apps CONTACT US !